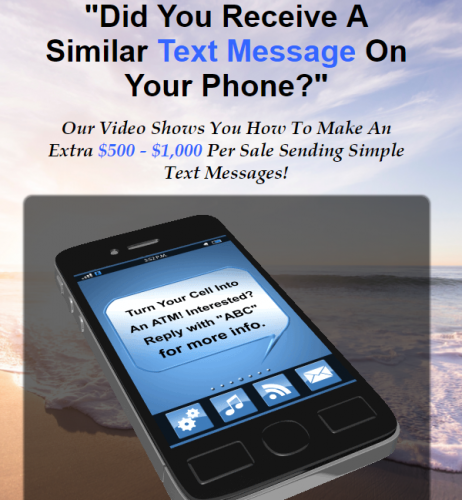 It’s a straight forward strategy that uses both Smart Phone Text & Voice Messages and an Internet Marketing Funnel TOGETHER to allow you to create traffic, leads and sales from scratch. SMS Text Leads Source – click here to review. 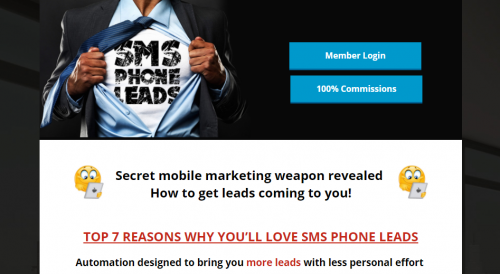 Smart Phone Marketing Funnel System – click here to review. Online Business (virtual digital franchise) to Create Cash Flow – click here. First: Traffic Generation. You send your “cold traffic text or voice message” to the cell phone leads from your leads source. Second: Collect New Leads. Your text/voice message lands on their phone where prospects listen to your message or read it, then tap on the call to action to get to your marketing funnel. Third: Prospecting. They land on the first page of your marketing funnel, the lead capture page and opt in by putting their cell phone number and email in the box to get the presentation. Fourth: Presentation. They land on your presentation page of your funnel and watch the short funnel that explains to them how they can learn to make money online with your simple system. Fifth: Email Follow Up. At that same time your email follow up campaign begins to send them follow up emails which break the presentation down into “easy to understand” pieces and invites them to review your presentation and get started and to follow you on social media so you can build trust with them. Sixth: Smart Follow Up Marketing. The rest of our “follow up marketing system” is used to keep inviting them to your conference call, your short sizzle call review, your presentation video and your training and prospecting videos and calls of your team’s system. Seventh: They Buy. They purchase a product package from Easy1Up and you get paid 100% commission. Eighth: Replication & Duplication. They login to their new system and replicate this exact business system by coming to this page and learning how to duplicate just like you are right now. Ninth: Organization Leverage. They begin to use this very system and generate their own sales. Tenth: Passive Cash Flow. You start to receive passive income from the passup commissions from your team’s duplication. Passive cash. 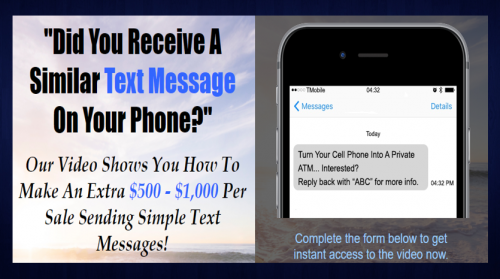 Smart Phone Cash Creation System. Keep it simple. It works. This complete funnel with multiple marketing systems and pages is available in a “done-for-you” format for all Vertex Lead System RESELLERS. If you are a RESELLER of the Vertex Lead System you have access to these additional funnels and pages for use in promoting the Easy1Up affiliate program. Vertex Lead System – click to review the VLS here. Vertex Lead System RESELLER Program – click here to review how to become a reseller of the VLS. Once you become a reseller in VLS then you’ll have access by clicking on the banner in your dashboard for the SMS FUNNELS.